Paradise Bay, Antarctica. Credit: Max Pexel. The longest-ever assessment of Antarctic ice mass paints a bleak picture for the future. Between 1979 and 2017, Antarctica has experienced a sixfold increase in yearly ice mass loss — and this rate doesn’t seem to be slowing down. During this period, global sea levels rose by almost 13 millimeters (half an inch) and might continue to rise at a higher rate than previously estimated. Antarctica contains 90% of the world’s glacier ice – enough ice to raise world sea level by over 60 meters (almost 200 feet) if it were all to melt. However, Antarctica’s ice sheet — composed of the East Antarctic Ice Sheet and the West Antarctic Ice Sheet — is not a giant mass of stationary ice but rather a system with inputs and outputs of matter and energy. All glaciers, from the smallest cirque glaciers to the largest ice sheets, are conveyors of ice – transporting ice from areas of net input (the accumulation zone) to areas of net output (the ablation zone). The continent’s glaciers accumulate ice from snowfall, and these snow crystals are buried under more recent precipitation, eventually reaching a depth where they are compacted into glacier ice. But, because of the massive pressure, the glacier flows like a very viscous liquid towards the ocean (at a rate so slow it’s impossible to perceive the movement), slowly leaving the continent in the form of icebergs and other pieces of floating ice that eventually melt altogether. It’s when the outflow rate is greater than the snowfall accumulation rate that sea levels rise — and this is happening more than ever. Rignot and colleagues studied 18 regions, totaling 176 basins, as well as surrounding islands. In order to assess the ice sheet balance, the research team used high-resolution aerial photos taken by NASA’s Operation IceBridge from an altitude of 350 meters, in conjunction with satellite radar interferometry from various space agencies and ongoing Landsat satellite imagery which first began in the early 1970s. The results suggest that between 1979 and 1990, Antarctica outflowed an average of 40 gigatons of ice mass annually, where a gigaton is equal to one billion tons. This ice loss rate jumped to a staggering 252 gigatons of ice loss per year between 2009 and 2017 — that’s six times more ice loss than four decades ago. The biggest ice loser was the West Antarctic Ice Sheet, which is capable of driving almost 5 meters (17 feet) of sea level rise. It is now losing about 159 gigatons of ice yearly, particularly due to the melting of the Pine Island glacier (which lost a trillion tons of ice since 1979) and the Thwaites Glacier (which lost 634 billion tons). 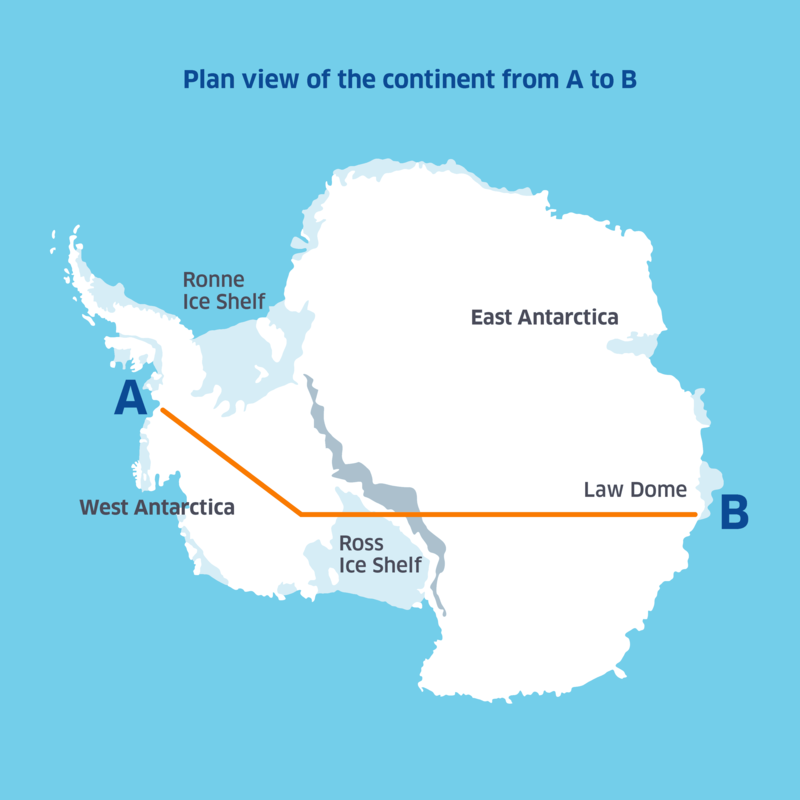 However, the most surprising result was the rate of net ice loss in East Antarctica, which is by far the continent’s biggest ice vault, capable of nearly 52 meters (170 feet) of sea level rise. Significant ice loss is experienced by the Cook, Ninnis, Dibble, Frost, Holmes, and Denman glaciers. Denman alone has lost 200 billion tons of ice, according to the study. Previously, climate scientists thought that East Antarctica wasn’t so vulnerable to net ice loss, but that may all be wishful thinking. “This region is probably more sensitive to climate [change] than has traditionally been assumed, and that’s important to know, because it holds even more ice than West Antarctica and the Antarctic Peninsula together,” said Rignot, who’s also a senior project scientist at NASA JPL. Antarctica’s ice sheet is melting due to global warming, which disproportionately affects the poles. The bulk of this melt is not due to to surface melting but rather melting that comes from below. In the Antarctic, the ice shelves extend from the land out over the water. And, since the bottom of the ice shelf is exposed to the ocean, which is warming up, it can melt the underside of the shelf and cause it to thin or break off into the ocean. 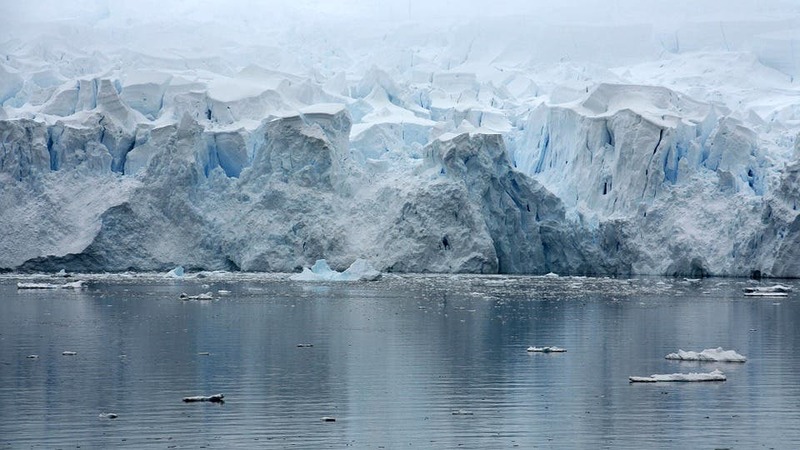 “As climate warming and ozone depletion send more ocean heat toward those sectors, they will continue to contribute to sea level rise from Antarctica in decades to come,” Rignot added.